So here I am, home again from Druid Camp. A simple name for a complex community gathering, and one I’ve been going to for around twenty years now. This year, for the first time, because of (well) stuff, I’ve been directly involved in it all as part of the core team, alongside Mark Graham. But this post is about being at the camp not the unimportant governance back-story. Here’s a first brief playback of the fun I had. 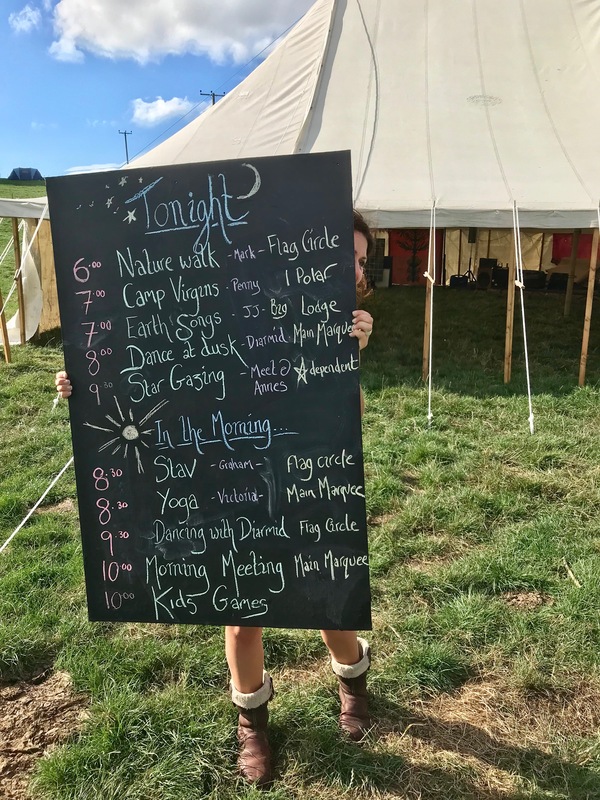 Running over five days, Wednesday through Sunday, in the north of the Forest of Dean, Druid Camp this year was set in a woodland glade with oak trees and coppiced hazel surrounding a gently sloping grassed arena. In the middle distance you may see the brown waters of the River Severn. The main speakers, scheduled so that everyone could attend if they chose, were awesome. 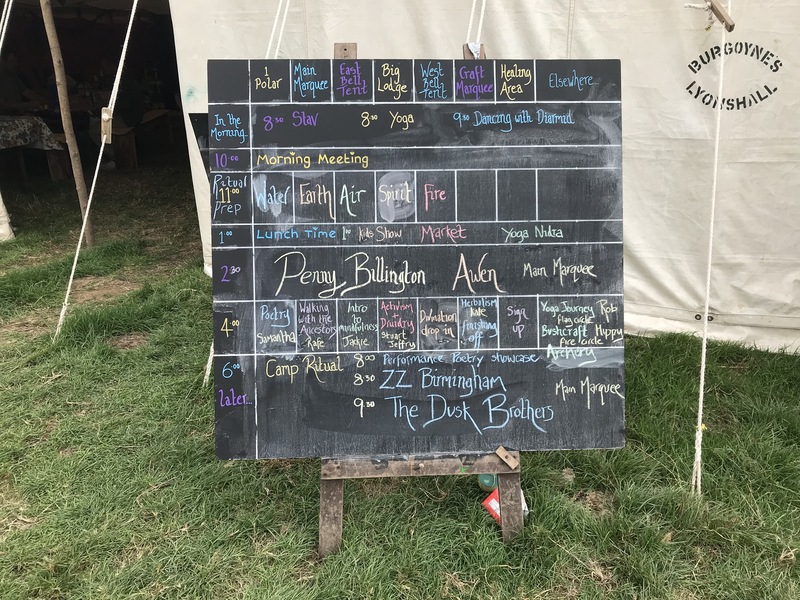 I particularly enjoyed Professor Ronald Hutton’s background to the crafting of the Mabinogion, and Penny Billington’s discussion into the fundamental concepts of the Awen. 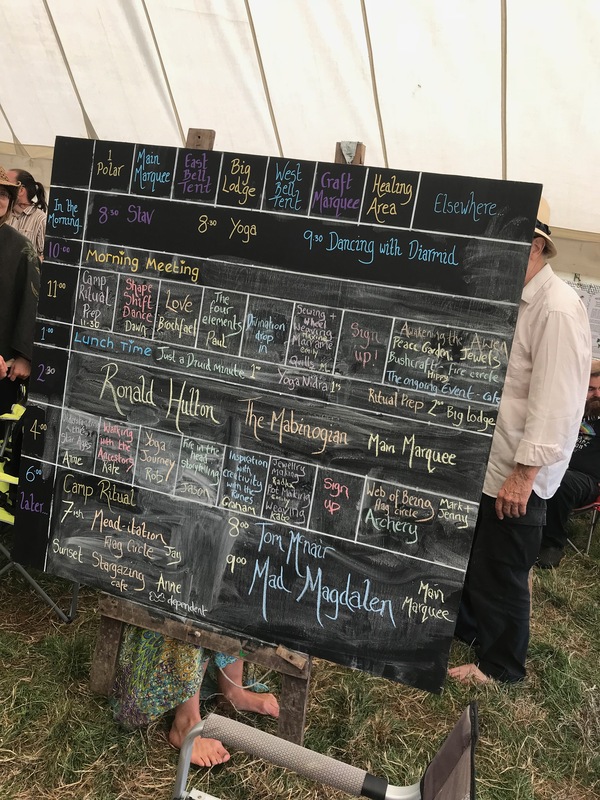 There were some excellent discussions too in workshops, on Druidry and Activism, on the cultural history of Brewing around the ancient and medieval world, and even Archery on the field behind where all the cars were having their own special camp gathering, well away from the noisy Druids! And the music! Fantastic! 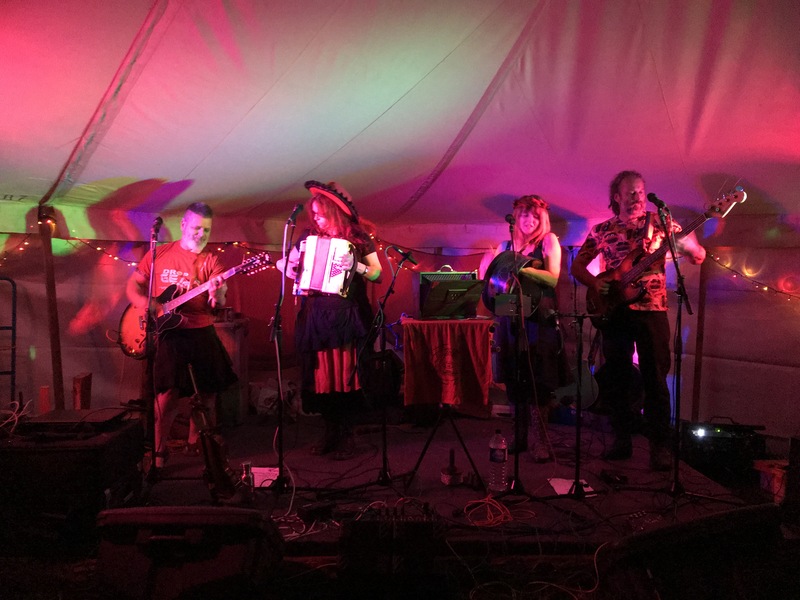 Well at least, the music I wasn’t involved in, at least, because I took part in both the lunchtime blues sessions with ZZ Birmingham, and the woodland choir that later ended the closing circle (with added handfasting!). 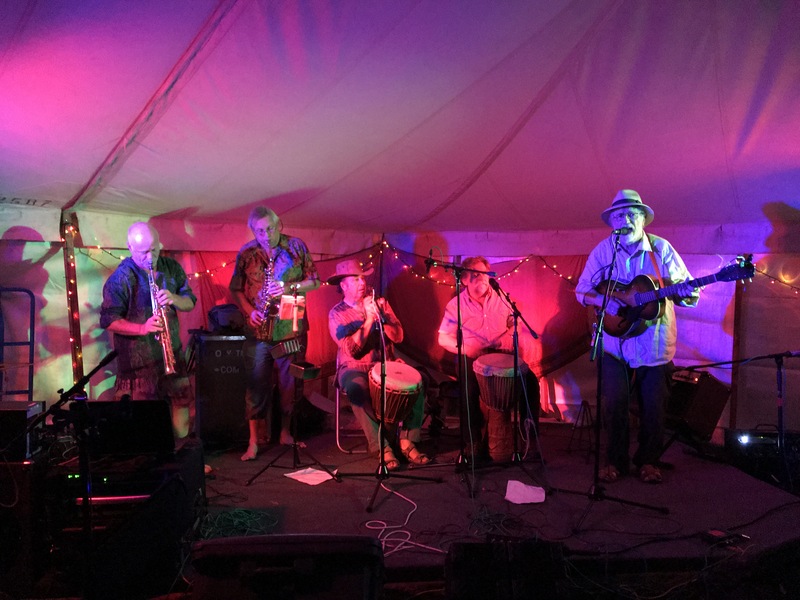 The photo’s below show, in random order, Z Z Birmingham and his band (Arthur has a weekly Blues show on Radio Glastonbury you can access over the Interwebz, which is very good indeed). 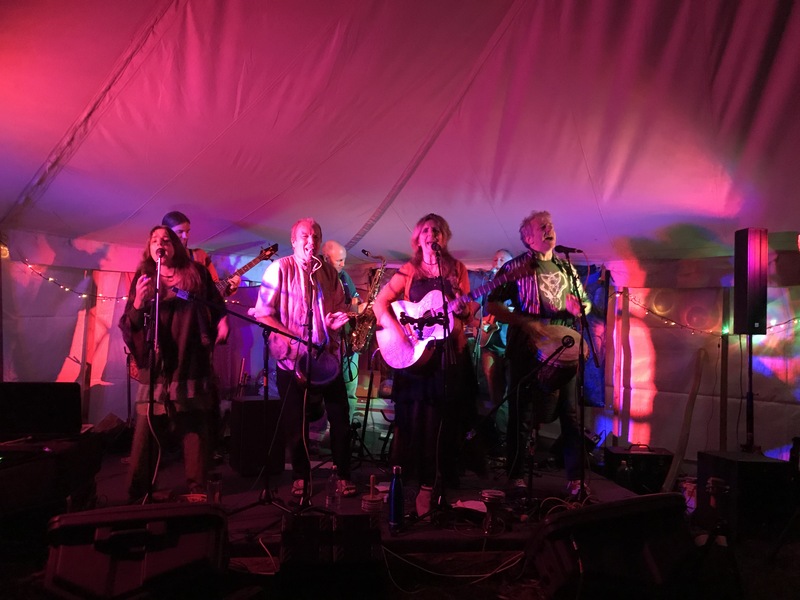 Seize the Day are also regulars at Druid Camp (and also at green and social activism protests around the country!). Always welcome is Mad Magdalen, filled with dark folk music and brilliant energy. And finally a new discovery for me and for Druid Camp, Dusk Brothers are a phenomenon! 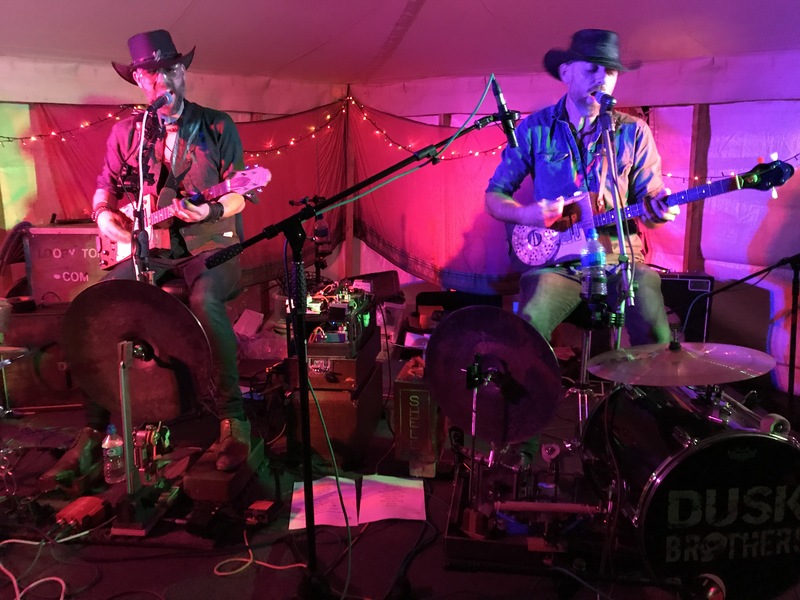 Playing homemade cigar box slide guitars while, at the same time!! !, stomping on a mad number of drum pedals, effect boxes and stomp pads to produce a sound that took your head into somewhere full of dancing beat and blues. 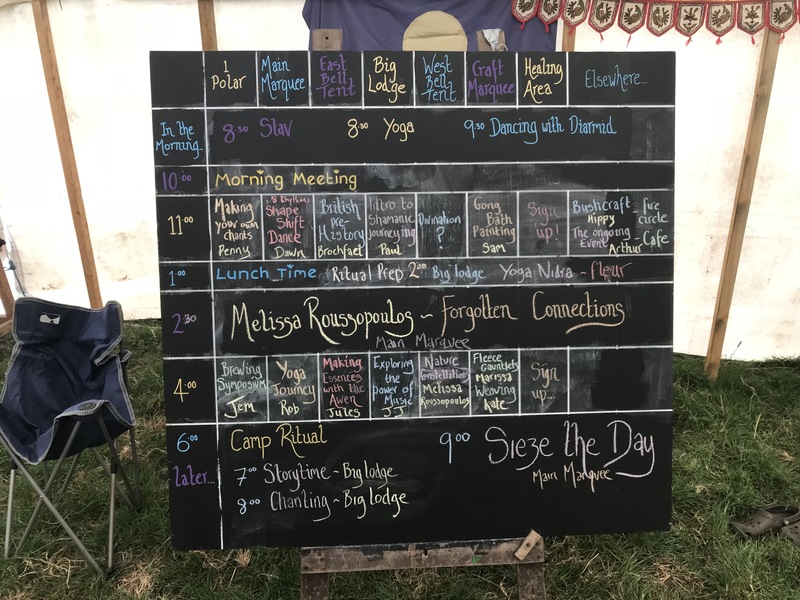 The main thing though about this Camp is the community of people who come. 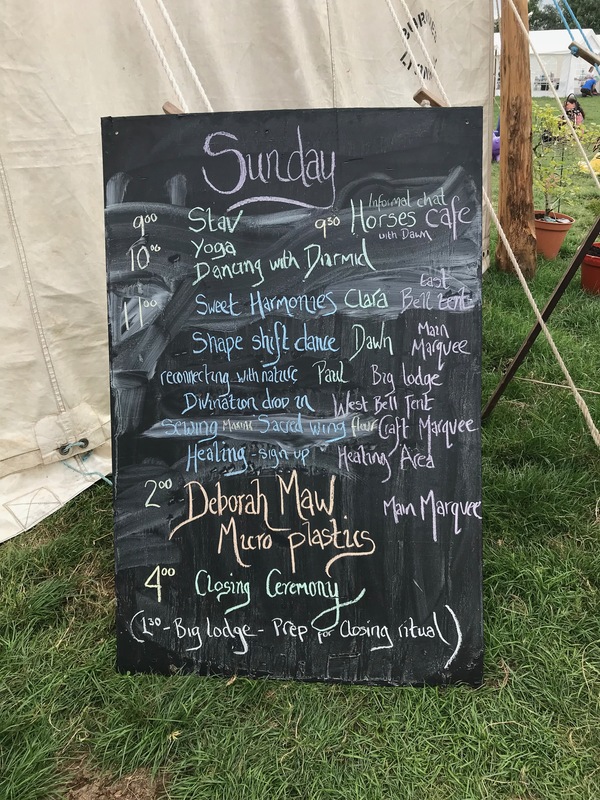 Many are year on year returners (when I worked for a living, Druid Camp week was widely known to be sacrosanct and everyone knew I’d be on leave then, come what may), while the newcomers are welcomed by the people and by a comprehensive Druid Camp Virgins talk on Wednesday evening. People have met and married at Druid Camp. They’ve had kids and brought them, and they’ve grown into young Druids of their own making. We’ve lost folk into mystery, and celebrated their lives and commiserated with their families. After some twenty years, Druid Camp has a lineage. And that lineage now goes forward with a new Druid Camp Association. The main web site will be closing soon (a job on my list!) but early next year the magic will brew once more, as the cauldron bubbles… and who knows what drops will shoot out this time!